Marc Andre ter Stegen is a German professional footballer who plays for the Spanish football club FC Barcelona and the German National Team. He was born on 30 April 1992 at Mönchengladbach, Germany. He started his career playing for his hometown team club, Borussia Mönchengladbach. He established himself in the reserve team and was subsequently knocking on the doors of the first-team. He made his first team debut on the 11th of April, 2011. At Monchengladbach, Ter Stegen carved a niche for himself, making 108 appearances for the club. In 2014, Barcelona signed him from his boyhood club as a replacement for Victor Valdes. He has since won a host of trophies at Barcelona. Ter Stegen made his debut for Germany on 26th May, 2012 against Switzerland in a friendly. The German was a part of the squad that reached the semi-finals of the Euro 2016 and the side that lifted the FIFA Confederations Cup in 2017. 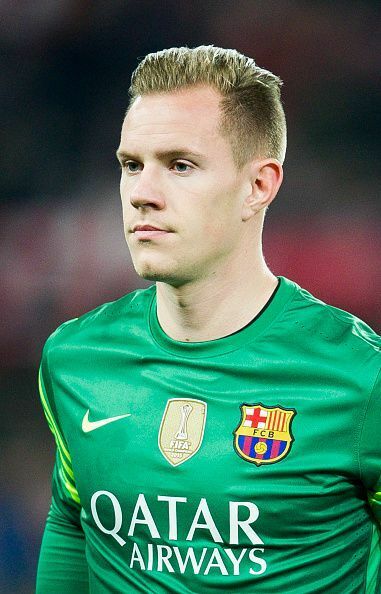 Ter Stegen plays as a goalkeeper for Barcelona and the German National Team. He is blessed with cat-like reflexes and has produced several memorable saves over his career. In addition, he is extremely adept with the ball at this feet and is one of the best ball-playing goalkeepers in the world.